Hire the best crossover wedding bands and vintage style wedding bands for your big day! 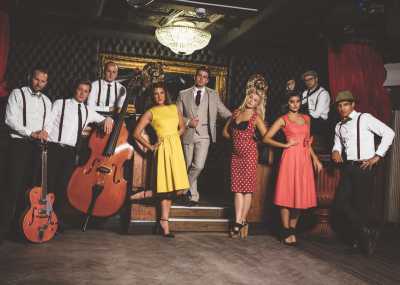 Here at Entertainment Nation we've got the UK's dreamiest vintage groups and postmodern jukebox style wedding bands. 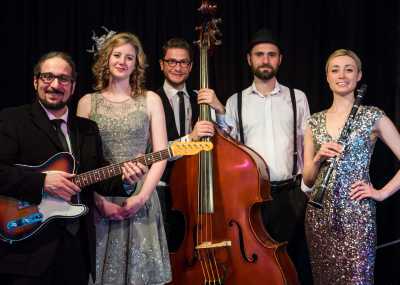 These ensembles rework your favourite popular music into the glamorous old school genres like jazz, swing and doo-wop for a totally unforgettable night! We work with the finest musicians in the country, so when you book your dream band you know you're getting talented and professional performers who'll fill your floor and make your reception sparkle. From timeless classics to modern chart hits, our vintage wedding bands for hire pay homage to the old school legends from the 1920s to the 1950s, while also reworking the hottest modern songs into their decadent "Great Gatsby" style! 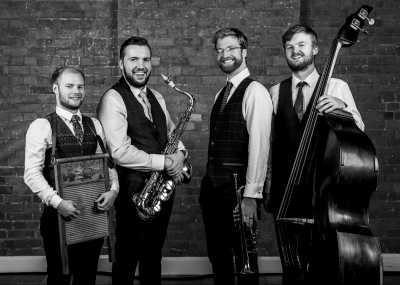 With a vintage or Postmodern Jukebox wedding band, you're receiving the energy and excitement of a pop and rock concert everyone can dance to, all while recreating the buzzing speakeasies and the thrilling optimism of the 1920s-50s music scene! You've got the best selection of live vintage style wedding bands right at your fingertips - check out the profiles of all our bands now to find your perfect match. Complete the brief enquiry form for a quote, or get in touch! We're here every day from 10am to 10pm and can be reached by phone, e-mail or live chat if you need advice or recommendations. 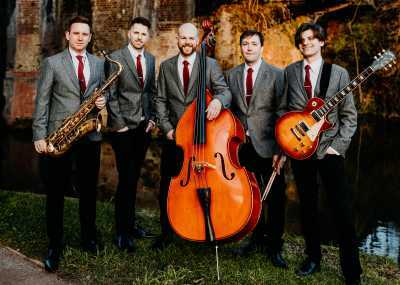 Why Hire a Postmodern Jukebox Wedding Band? If you want the excitement of a live concert and a splash of unique charm and attention to detail to make your wedding day a treat for everyone involved, there's nothing better than a vintage themed wedding band! 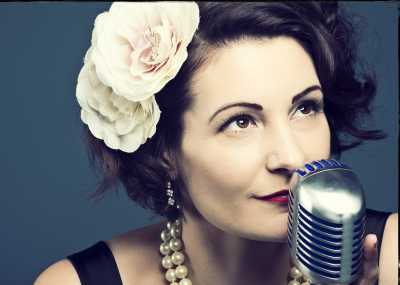 The Postmodern Jukebox band was conceived to bring some of the glamour and craftsmanship of the past into the modern age, and our vintage style wedding bands embody this perfectly to give you the romantic treat you deserve. 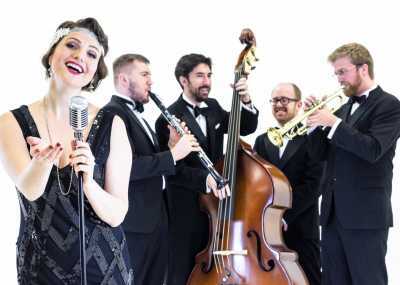 What Will a Wedding Band Like Postmodern Jukebox Play? 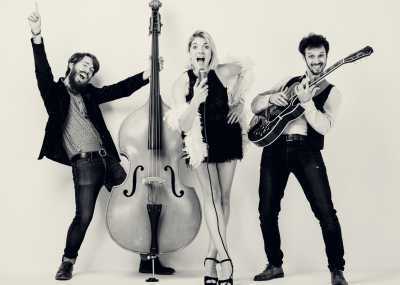 Combining songs that everyone will recognise with the glamorous brass-heavy numbers that defined the age of prohibition and beyond, vintage wedding bands are here to bring you a taste of the past while giving everyone from the present cause to get up and dance! Always check the repertoire of your chosen band to make sure they play the songs you love! 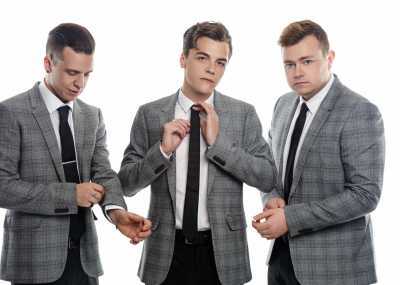 Because our vintage bands are so varied in their style, nearly all of them have their own take on the genre - which is good for you, as it means you're sure to find a band who can create the sound you've been looking for, whether that's simply wedding bands like Postmodern Jukebox, some chart-topping hits from a vintage pop band, big-band and Rat Pack arrangements, or the doo-wopping of some cool rock and roll bands! All the bands in our selection are professionals bursting with talent. They use their years of experience from past events to gauge what your audience is after and give them a show they'll never forget. 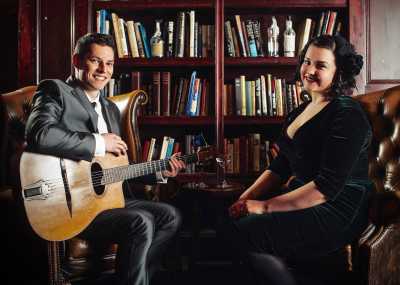 Their set-lists are frequently worked around you - our bands often consult you on what you'd like to hear from their repertoire, so they can make the evening feel even more special. What Will a Vintage Wedding Band Provide? 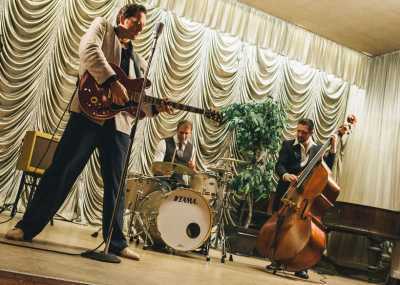 You can normally expect a vintage styled wedding band to supply their own high quality PA and lighting for the stage-show experience, and many provide playlist music between their live sets so you've always got some music to listen to. Many also include the option to learn your first dance or a special song request as part of their booking if they don't already know it. Be sure to check out our bands' optional extras - from mellow acoustic sets, different line ups and optional DJ services, there's always plenty to choose from to make the performance just how you want it! Ready to secure your dream Postmodern Jukebox or vintage wedding band? Complete the brief enquiry form at the bottom of your chosen band's profile! We'll be in touch with a comprehensive quote and if you're happy to go ahead, your dream wedding entertainment is sorted. We use secure online payments and thorough contracts to give you total confidence in your Entertainment Nation booking.